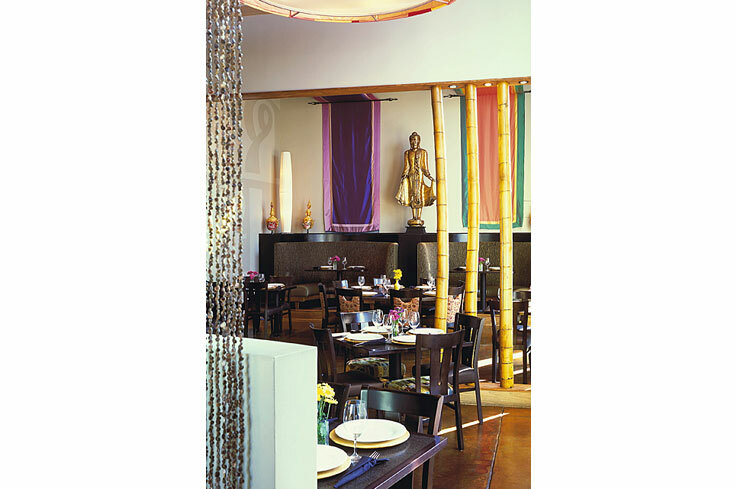 The design is composed of sun-bleached colors, whitewashed wood and shells all bathed in diffused natural light to capture the tropical charm of the restaurant’s namesake island in southern Thailand. 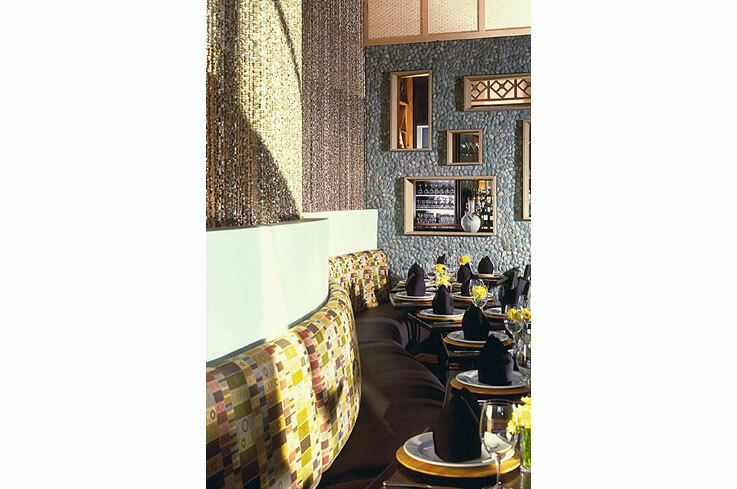 Shell mosaics cover the entry surrounds to the restaurant while an 14 foot tall undulating curtain of tiny seashells leads to the bar and screens the dining room from the entry. 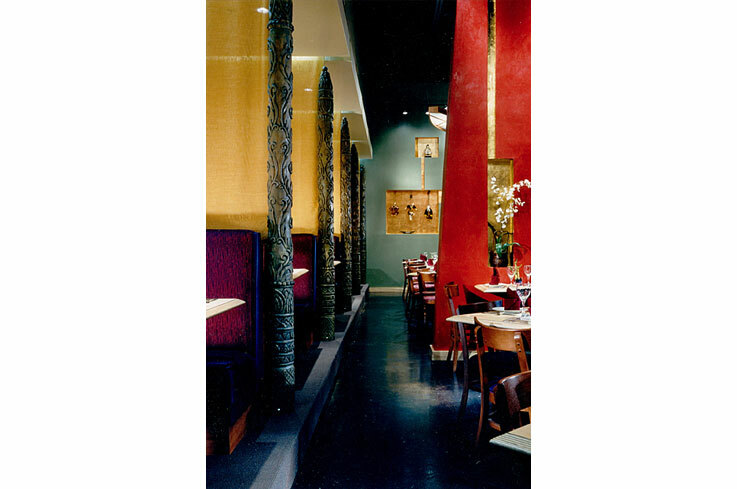 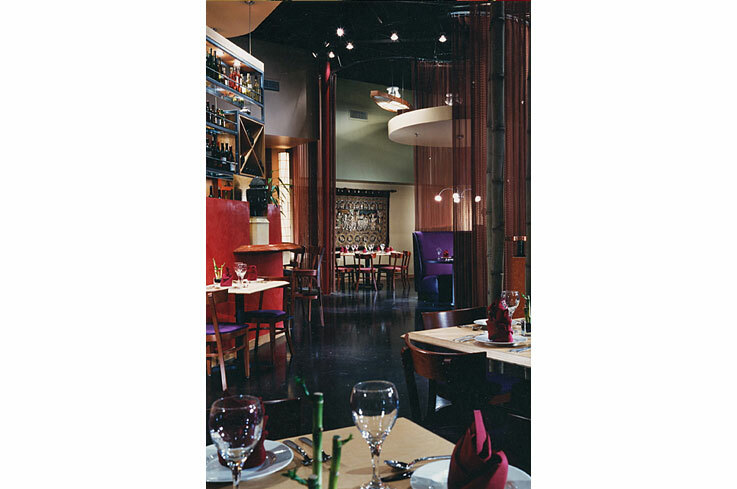 A wall of smooth river rock, the color of sea glass, separates the main dining room from the bar. 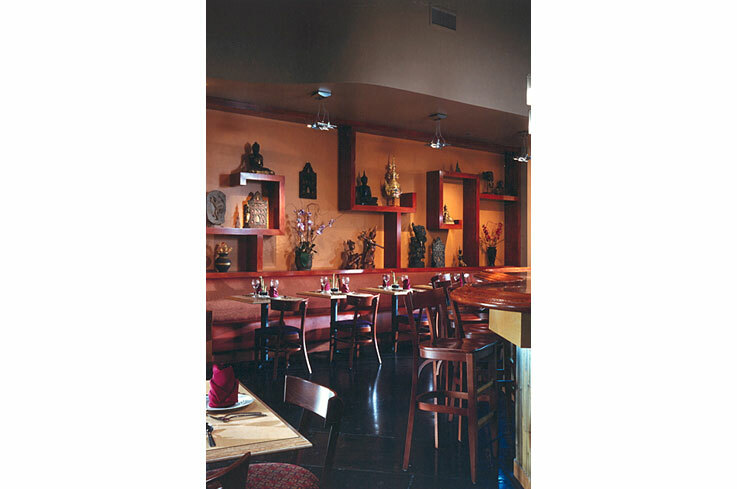 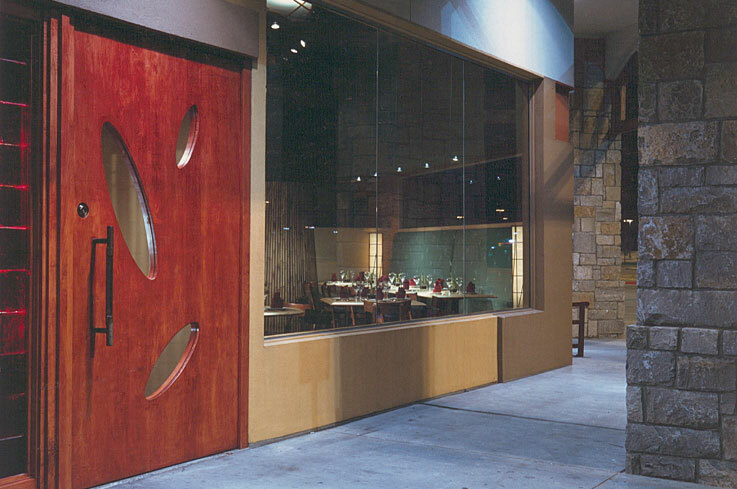 Motifs established in the original restaurant are carried through in this design such as the large bamboo and rectangular display niches for Thai artifacts.